We’ve explored a number of options that churches have available to them for building their website. In Part 1 we looked at using a staff member. Part 2 discussed the pros and cons of using a volunteer. Yesterday we looked at using a web designer in Part 3. Today, we’ll look at the final option which is using a Web Development Company. Some of you may be asking, “What’s the difference between a web designer and a web development company? Isn’t that the same thing?” No, they are very different. With a web designer, you have a single person trying to manage every aspect of the website. A web development company has multiple people who specialize in different areas of websites. If you remember from Part 1, we discussed that there are five programming languages that you have to use to build a modern website. It’s important that we remember the fact that very few people are highly knowledgeable in all five languages. The biggest advantage of a web development company is that they have multiple people who can work together to build and maintain the websites. 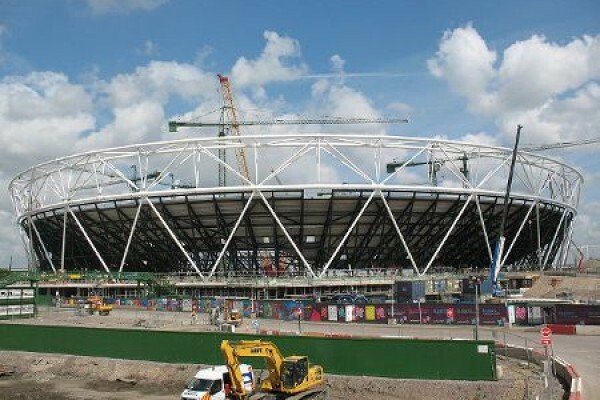 Think of it like building a stadium. How many people are involved in that process? You usually have a team of architects develop the blue prints. There are construction foremen who are in charge of scheduling which jobs happen when. After all, you can’t put the seats in the stadium until the floors are in place. Then you have individuals who are skilled with particular equipment like cranes. They don’t have just anyone hop in the operator’s seat and try moving equipment and materials around. Don’t forget about the vast amount of general workers, electricians, plumbers, and everyone else that has to be involved. Just imagine how chaotic and difficult a project like that would be if one person tried to do all these jobs on their own. It’s the same with your church’s website. One person will have a very difficult time running the site by themselves, but many people working together can accomplish much more. Another advantage of using a Web Development Company is you rarely have to worry about not being able to get a hold of someone. When your website is being run by an individual, whether it is a staff person, volunteer, or web designer, there will be many times when they are unavailable. As we mentioned in Part 3, we have helped numerous clients who have come to us after their previous website person simply quit returning phone calls and e-mails. It’s a little hard to imagine why anyone would not want to stay in touch with their customers, but it happens very frequently. With a Web Development Company, they will have staff dedicated to answering the phones, returning calls, and keeping up with e-mail. It’s even better when their phones are staffed by live people. Our clients love the fact that they can call our number and immediately talk to a real person. It’s always nice to hear a friendly voice on the other end of the phone when you need some help. Web Development Companies will have base website code that they have developed and tested over numerous sites. That’s a sophisticated way of saying they will have stable websites. When an individual develops a website, it is usually new code or a new combination of existing code. That means there can be a lot of bugs and errors in the code running your website that can create problems when you least expect it. A good web development company will use a base set of code to build new websites on. This means the new websites start off with a stable foundation that helps reduce unexpected problems. It’s similar to the difference between building a house with a cement foundation and trying to build a house on a pile of sand. The more the base code has been used and tested, the sturdier the foundation for your website. We use a base platform that we have developed to build all of our client’s websites on. Not only does it provide a stable foundation for our clients’ websites, it also means that we can provide extremely fast turn around times for when clients ask us to make changes to their site. Nothing is worse than having outdated information on a website and having to wait on someone else to update it. Speaking of updating the website, the best web development companies will give you access to edit the website yourself without having to know any website code. Sound too good to be true? Well, it’s not. It is your website after all. Why shouldn’t you have access to make changes like updating information on a page, changing staff member pictures, or adding a new announcement about an upcoming event? We agree that you should be able to maintain the information on your website, and we allow all of our clients that ability. Some of them choose to use us to make changes to their website, and we’re happy to help. The vast majority of our clients love the fact that they can keep their website up to date with the tools we’ve provided and don’t have to call us with changes. They also love how easy it is. If you can send an e-mail, then you can maintain your website with our website tools. It really is that simple. There are some things that you need to watch out for with web development companies. Some of them will try to require you to register your domain under their name. What does that mean? Well, your domain is your website address. For example: MyChurchWebsite.com would be a domain. The “owner” of a domain is the person who is registered as the “Administrative Contact” for that domain. There are many web development companies that will ask you to put them as the administrative contact for your domain. Do Not Do It! Once they are set as the admin for your domain, they can hold it hostage if you ever decide you need to quit using them. We’ve seen it happen, and, in our opinion, it is an extremely dishonest practice. With Church Web Fuel, we will never ask you to register us as the administrative contact on your domain. Instead, we will help you make sure that the person you designate is listed as the administrative contact. It is your domain. Don’t let anyone take it away from you. In fact, even if you are not a client of ours but have questions regarding your domain and who has ownership of it, give us a call. We will be happy to help you determine who is listed as the administrative contact. If you determine that the wrong person is listed as the administrative contact for your domain, you need to change that as quickly as possible. Out of all the options we have explored, a web development company is your most reliable option. It provides you a team of people all focused on building your website, stable underlying code, and assurances that you can always get the help you need. Yes, there are a few things to watch out for, but a reputable company will help educate you on the website development process and help you avoid the pitfalls. 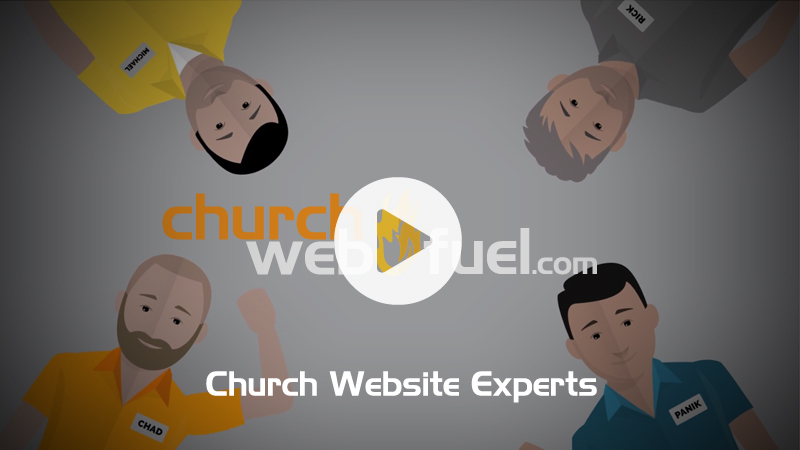 Here at Church Web Fuel, we enjoy seeing churches realize just how powerful a communication tool their website can be. For us, these are more than just websites. They are tools to help churches communicate with their members and reach out to anyone who is looking for a church home.